Throughout North America, extreme off road driving has taken off in popularity – as the industry is expected to be worth $28 billion dollars by 2024. Today, extreme sports and auto manufacturers are building vehicles that are capable of scaling cliff sides that were formerly too challenging even for adventurous rock climbers to conquer. With the advancements in auto technology, trucks can be modified more easily, and pushed to greater limits than ever before, which allows adrenaline junkies the ability to test our their new toys on the toughest terrain they can find. As this hobby grows throughout the world, more organized groups and clubs are beginning to form, as well as a lucrative tourism market for struggling rural economies. The roots of this extreme sport started like most others – in the driveways and backyards of some creative and unique individuals. Likely driven by the hope to destroy the limitations to where you can and cannot drive, truck and Jeep owners often modify their own vehicles in the hopes of building an off road machine – where no mud is too deep, or hill too high. A simple YouTube search of “Off Road Hill Climbing” will provide a great glimpse at the seemingly insurmountable hills and rock formations that these 4×4 vehicles race up with ease. This sport certainly isn’t for the faint of heart, especially when facing a nearly straight up vertical climb against gravity. 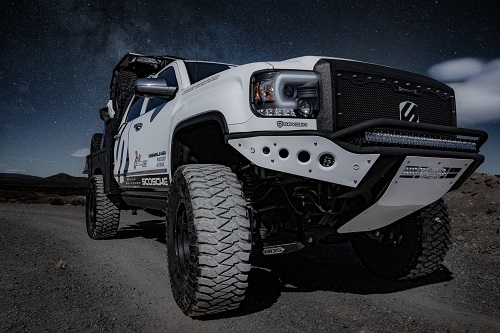 In order to achieve success on the trails, off roaders often turn their vehicles into Frankenstein-like monsters – with the sole goal of conquering rough terrain. This extensive customization allows owners to have more control over the market value of their truck, plus provides a plenty of fun and a sense of ownership. And while these jacked up trucks with oversized tires may not seem like a feat of engineering upon first glance, there’s actually an entire science behind how to make the perfect off road vehicle to suit the type of terrain it will be driven on. For starters, having ample ground clearance and heavy duty brakes are paramount. As a result of the new sport and it’s budding popularity, dozens of clubs and organizations have sprouted up in nearly every corner of the world – many of which are committed to protecting the rural environments that they ride in. As the popularity of this extreme sport grows, the regions where offroading is most common have seen a new tourist economy sprout up from the “redneck” hobby. In places like West Virginia, there are entire companies that provide vehicles and guide tourists through the backwoods and into the mud and grime. This is a new trend among the sport, and a welcome source of income for communities damaged by the struggles of the coal mining industry. And while off road trucking likely isn’t the answer for these regions economic issues, it’s certainly a step in the right direction to revamping the opportunities in the area. There’s no doubt that the future looks bright for the sport and the regions where offroading is popular. As more established groups and organizations begin to invest in offroading – places like West Virginia will be first in line to play host to what could be the next big sport in North America. What started off as a niche hobby for blue collar people living in the rural countryside – extreme off road trucking has blossomed into a full fledged sport with huge potential. There’s a certain lure and attractiveness of riding a modified monster of a vehicle up a massive hill, or tearing through the mud. This sport is sure to give adrenaline junkies their fix, while also proving to be an entertaining and exciting activity for just about anyone to try. This entry was posted in News and tagged off road driving. Bookmark the permalink.